Because of the landslide, which is the fifth in the area of Asen’s Fortress in the past two months, a 25-meter section of the one of the road’s two lanes has collapsed by about 100 meters. Asen’s Fortress, which dates back to the height of the Second Bulgarian Empire (1185-1396 AD) and the Asen Dynasty (1185-1256 AD), and is a major archaeological and historical attraction for cultural tourism, is still accessible through the remaining lane of the road leading up to it. Asenovgrad Municipality has informed Bulgaria’s Ministry of Regional Development and the Governor of Plovdiv District about the new landslide. 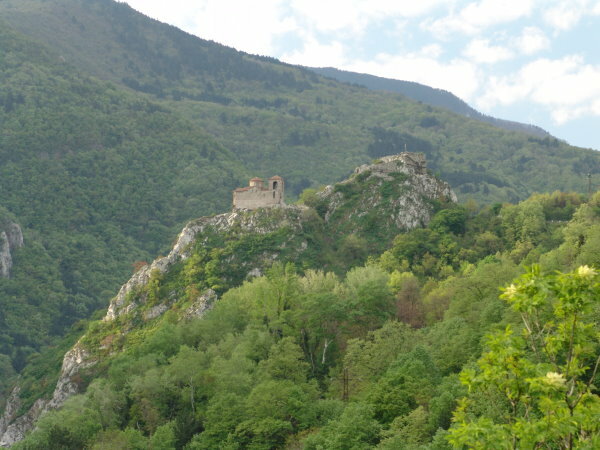 At the end of March 2015, because of the torrential rains, three landslides affected the rocky hill where Asen’s Fortress is located. Another landslide, the largest one so far, emerged in April. Asenovgrad Municipality needs a total of BGN 2.125 million (app. EUR 1.08 million) to cope with the landslides affecting the area of Asen’s Fortress. For the time being, there has been no indication that the fortress itself is threatened but if the landslides keep eroding the rocky hill where it stands the unique historical site might be endangered. It was renovated in 1231 AD during the reign of Bulgarian Tsar Ivan Asen II (r. 1218-1241) as a stronghold against the Crusanders’ Latin Empire (1204-1261). It is best known for the well preserved 12th-13th century Church of the Holy Mother of God, a two-storey cross-domed single-naved church with a wide narthex and a large rectangular tower, with 14th century murals.